No matter what, every year, without fail, if we grow nothing else, we grow pumpkins in our garden. Well, and sunflowers too. But definitely pumpkins because they’re so easy to grow and they’re so useful once fall rolls around. We can decorate with them of course, but we can also eat them, and use them as jack o’ lanterns for Halloween. I made sure to plant a whole bunch of little pie pumpkins this year because I wanted to be able to use them in all of my fall baking, which I intend there to be a lot of. 🙂 My Gay Lea Foods challenge for this month was title “Farm to Table” and suggested that we visit a farm. 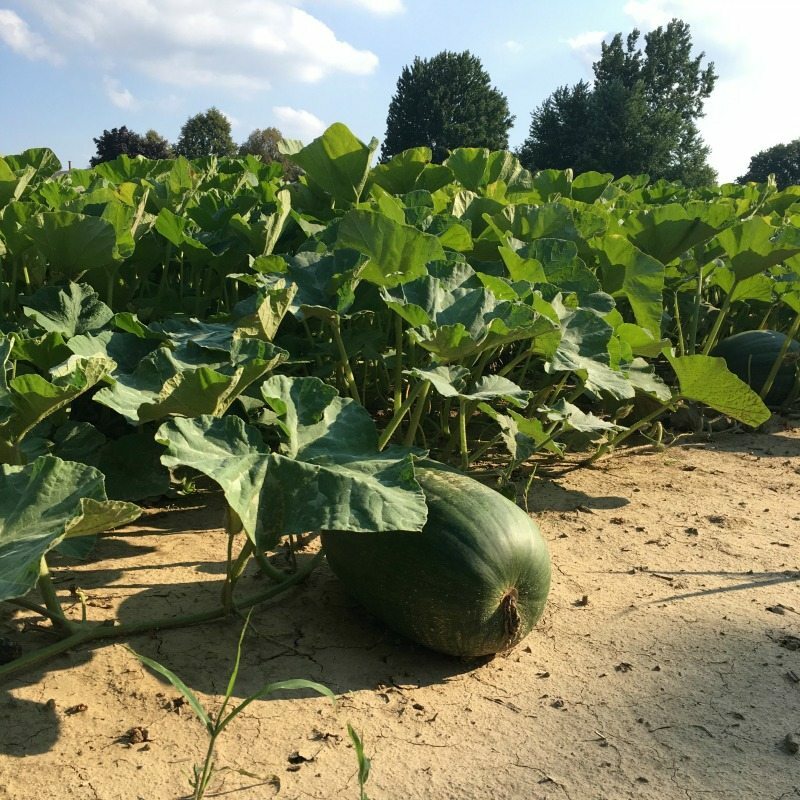 Well, since this is a pumepkin-flavored post and the little area of southwestern Ontario where we live is the pumpkin capital of Canada, that involved driving down the street to one of the pumpkin patches that we pass everyday during the school year on the way to Kennedy’s school. See? There it is! To tell you the truth, along with our monthly recipe challenges, we’re also supposed to challenge ourselves to try to incorporate different Gay Lea products into the food we prepare for these blog posts. 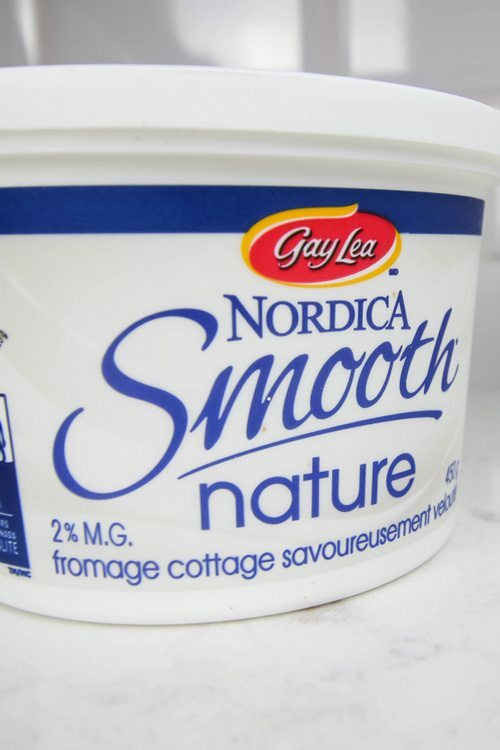 As you can tell though, I just keep coming back to all the different types of cottage cheese, and in particular this Nordica Smooth Cottage Cheese because it’s just so darn good. 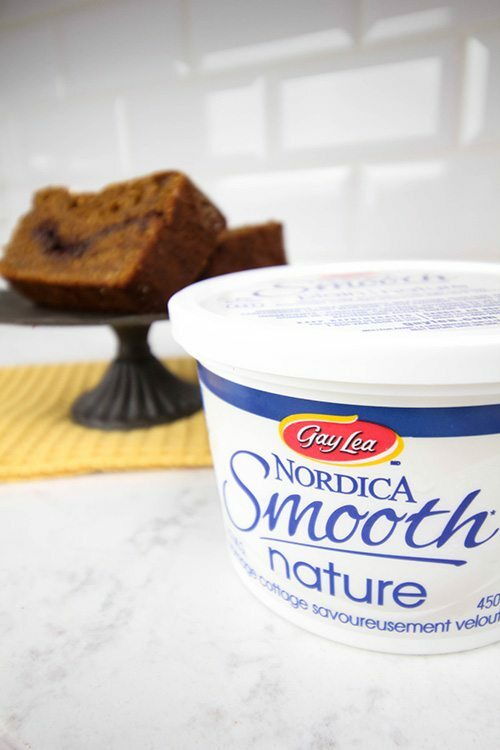 This month I’m using the plain version of the smooth cottage cheese, which is new in stores and so great for all kinds of things. Now, on to that cake! Preheat your oven to 350 degrees and grease 2 loaf pans. 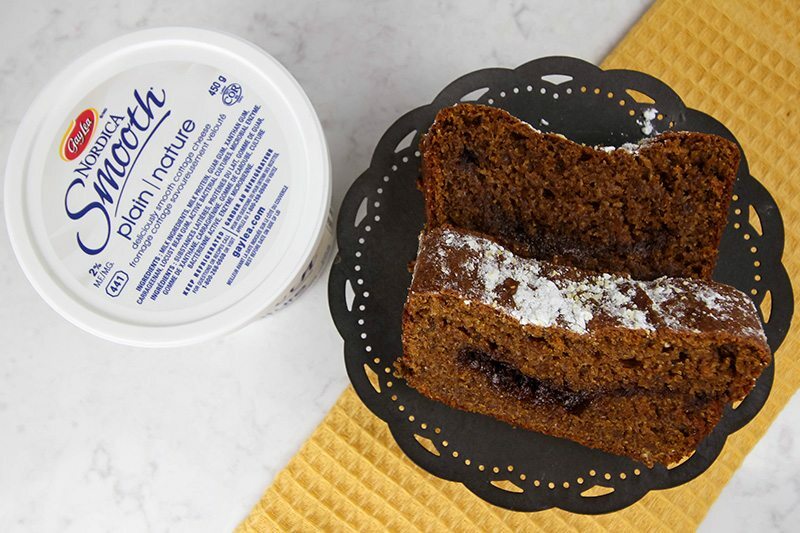 You can also use a bundt cake pan for this cake. 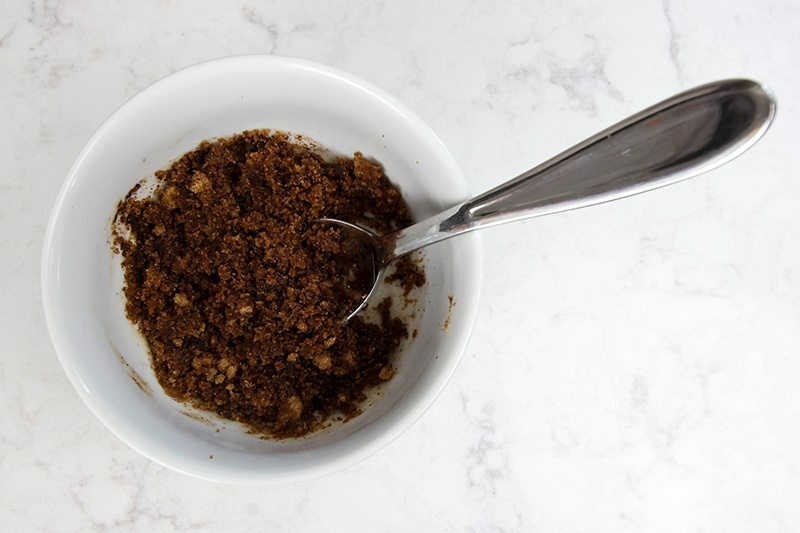 Combine your filling ingredients in a small bowl until they’re crumbly and set it aside. 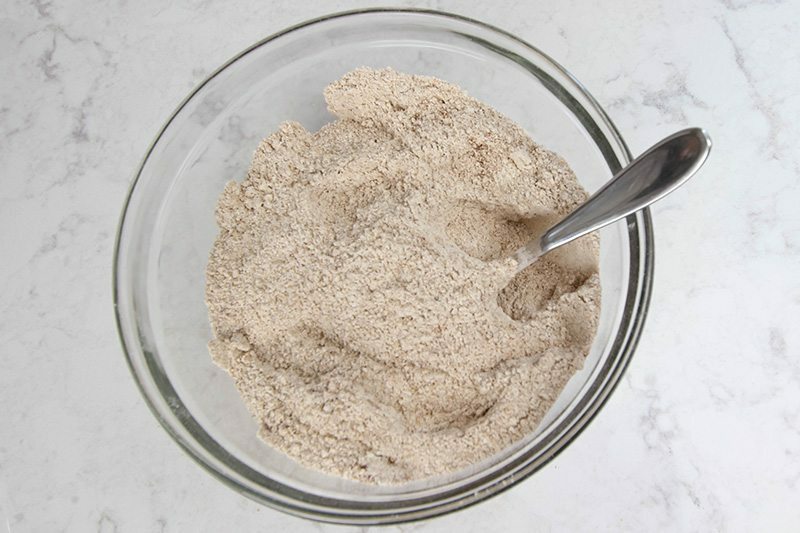 Combine the flour, pie spice, cinnamon, baking soda and powder, as well as the salt in a bowl and set that aside too. Beat together the sugar and butter until creamy, then add the eggs. 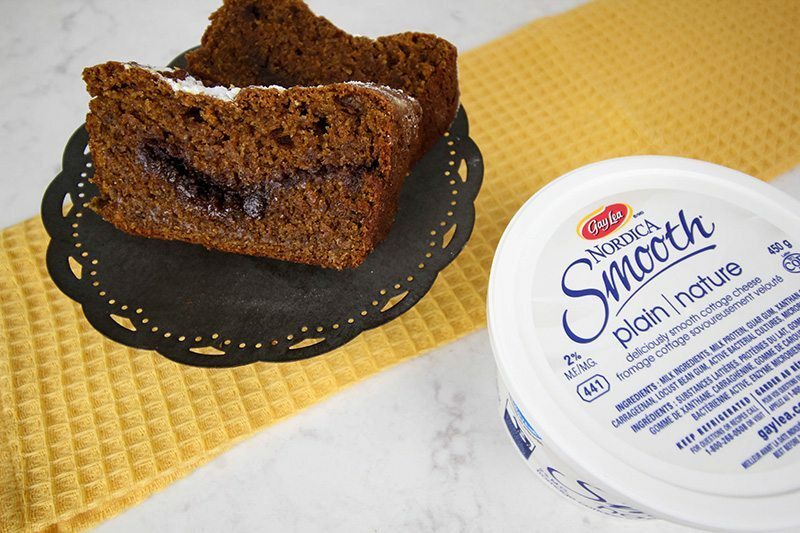 Next add in the pumpkin, cottage cheese and vanilla and mix well. Slowly add in the dry ingredients and mix it until until just combined. Split half the batter between the two loaf pans. Sprinkle the filling over top, making sure not to allow the filling to touch the sides of the pan. You want it in the middle of the cake as much as possible. 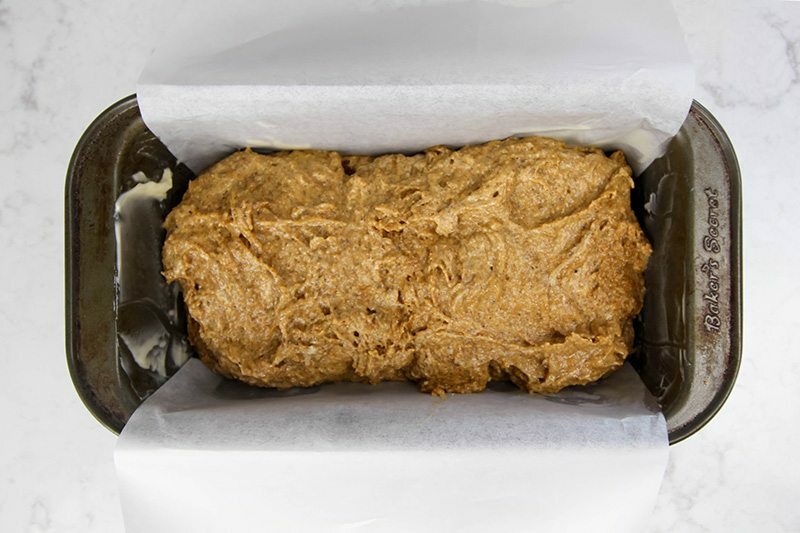 Add the remaining batter to the loaf pans over top of the filling. 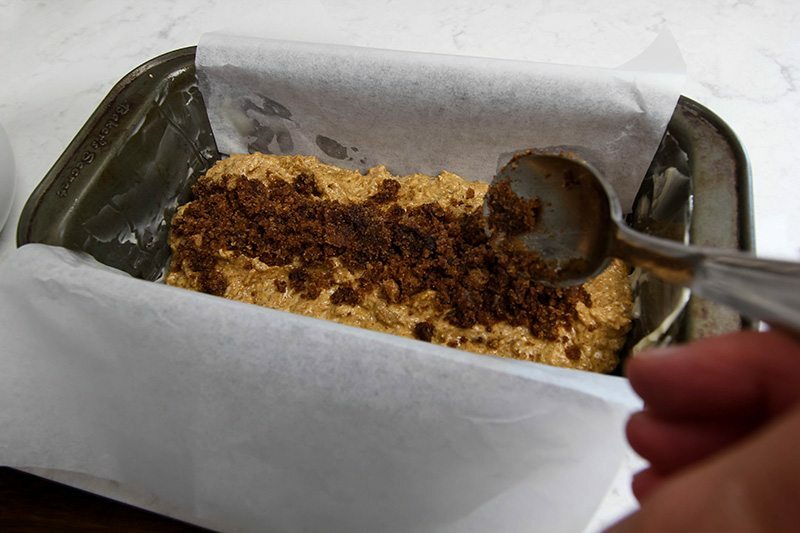 Bake for about an hour or until a toothpick inserted in the middle of the cake comes out clean! 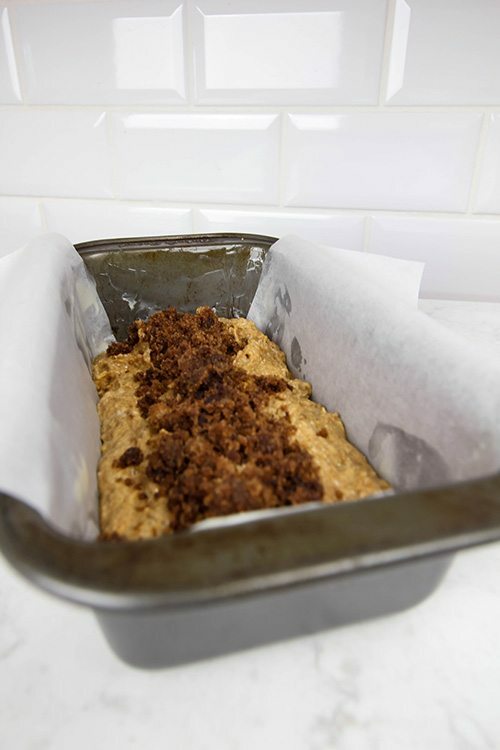 Let it cool for a bit in the pan, then turn the cakes out and let them cool completely on a rack on a clean towel. I’m a simple girl when it comes to my fall baking, so I just like to sprinkle a little icing sugar over the tops of my cake and call it done! 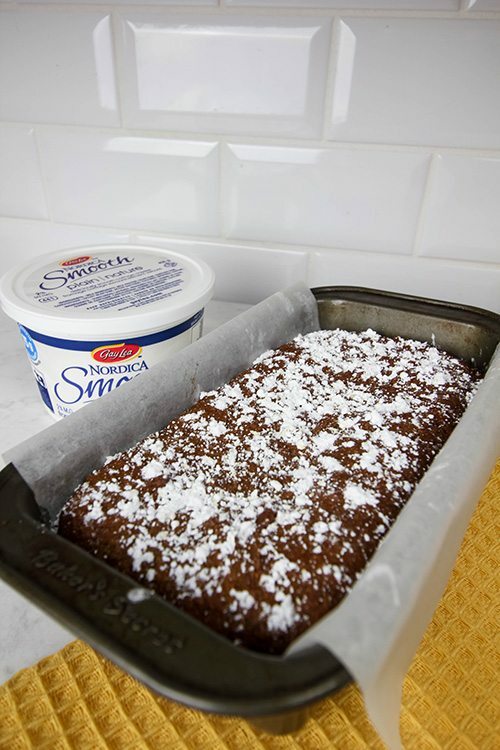 This is a fun fall recipe because it’s really just as simple as any plain loaf cake, but the cottage cheese makes it extra rich tasting and the filling makes it just a little more special. 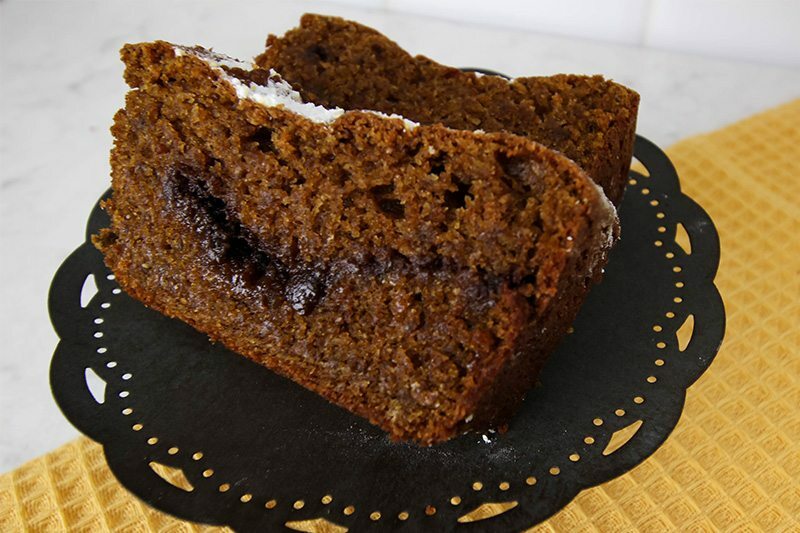 What pumpkin flavored treats are you planning to bake this fall? I wrote this post as a paid ambassador with Gay Lea Foods and PTPA. All opinions, ideas, and recommendations are my own as always! What do you think the time should be in a bundt pan? It would be a fabulous presentation if I did two bundt pans, stacked them flat-to-flat, and used some orange butter-cream frosting. I think bundts are usually an hour, but this is a dense batter. That sounds like such a fun idea! I was actually surprised at how quickly this baked. I thought it would take a lot longer. I would stick to the hour for the bundt pans and just check it with a knife or a tooth pick to make sure.